Can you tell your chronograph from Shinola? The Shinola Canfield Sport can! Ok, I know I’ve been throwing you a lot of men’s style stuff the past few days. 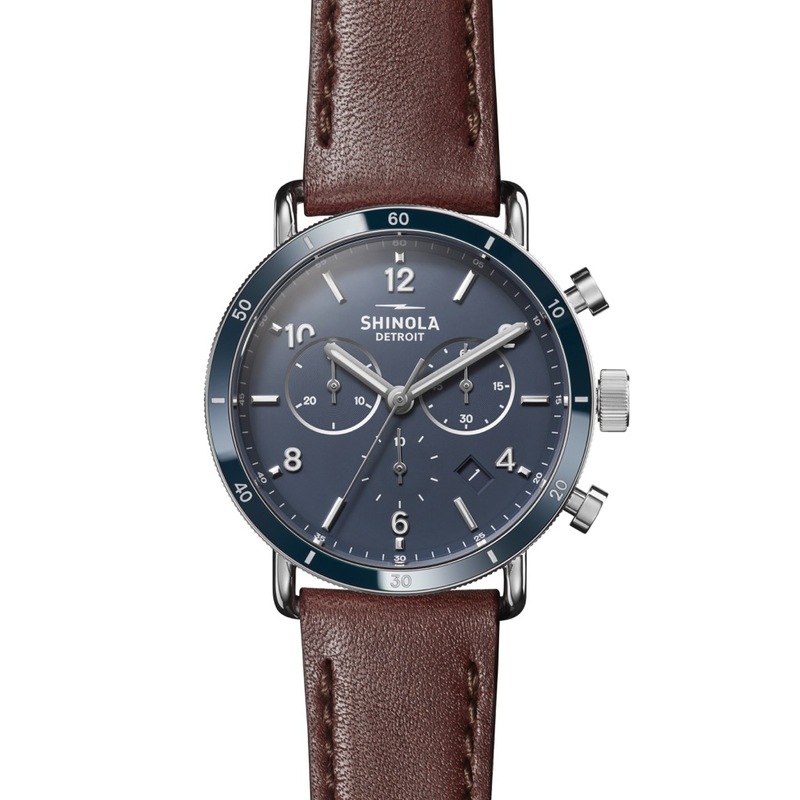 Let me make it up to you and talk about a watch that was just announced earlier today – the Shinola Canfield Sport. Ok, so no surprise that I’m talking about Shinola, right? I mean, they’re calling my old hometown home now, and I like to see ol’ Detroit doing well. Past that, I like the watches being created. Not everyone is precisely my jam, but I think the designs have an overall language that works together nicely. Now, with the Shinola Canfield Sport, you might be surprised that I’m covering it, as it’s a chronograph. And I’m generally, well, anti-chronograph. I would say that I still am, for the most part, but I can see the allure here on this watch. For me, I like that, even though it’s a tri-compax layout, it’s the upper two registers (only) that are indented, which gives things a slightly off-kilter look. In some watches, that kills things for me, but here, I dig it. As you can see by the full gallery down below, the Shinola Canfield Sport is being released in a variety of styles, and even in two sizes. The 40mm model will be powered by the Argonite 5040.D movement, while the 45mm gets the most-complex movement Shinola has assembled, the Argonite 5040.F (which also brings along a day-date complication, and outer ring date indication).